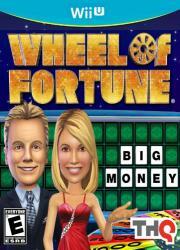 Voice overs by Pat Sajak, Vanna White and announcer Jim Thornton will make you feel like you�re on the set of Wheel of Fortune. New animated videos and mini games add variety to your game experience. Play in single player mode with the Wii U GamePad or connect your Wii U to the TV and play as a family.